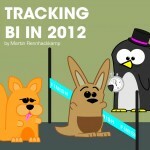 How is BI tracking against the predicted trends for 2012? I recently took some time out to think about what was predicted for the BI industry for 2012, and what the realities have been over the past 10 months. I always find it interesting to see just how accurate these predictions were, and of course, what we can expect to have an impact on this industry in the year to come. Having read a Gartner article that points out some of the top BI trends for 2012, I must say that each trend has, in one way or another, come to light within the BI industry this year. As technological innovation continues to shape the industry, we can hedge a few bets that these trends will continue their impact on BI in the near future. Gartner’s predictions for BI in 2012 where focused around the challenges of the cloud, alignment with business metrics, as well as an organisational model balanced between centralised and scattered for information delivery. Andreas Bitterer, research vice president at Gartner, was quoted stating that “The need for analytics does not match most organisations’ skill requirements; vendor hype for cloud-based BI is not reflected in revenue and customer adoption, and there is a struggle between centralised and decentralised organizational models of BI delivery.” It is with this in mind that Gartner outlined their three central predictions for the BI market. This is likely due to the hype around cloud, yet Gartner clearly states that BI platforms based on the cloud will only account for 3% of total BI revenue – certainly an interesting statistic. While I certainly believe that there is a place for BI in the cloud, and yes, we can see that many traditional BI organisations are starting to embrace the cloud concept and move towards offering this platform, it is important for us as experts in the field to note that BI solutions in the cloud, while offering a simpler and faster process, requires careful consideration in order to get it right. BI in the cloud works for companies whose requirements are suitable to cloud-based computing and therefore cannot just be adopted into any business. So looking at the realization so far for 2012, my prediction for 2013 is that the hype around BI in the cloud will continue. However, a key driver of BI in the cloud is convergence and until true convergence can be reached within organisations, the true potential of BI in the cloud will remain to be seen. This model promotes a balance between centralised and decentralised delivery within the business. Currently, most BI systems have departmental roots with analytical resources embedded in the business. The problem here however, as stated by Gartner, is that this model lacks consistency in terms of data definitions and measures across the whole organisation. The IT department looks to resolve these inconsistencies by developing a central team to deliver BI, however this model can be considered overly centralised and therefore lacks the agility and familiarity of the decentralised model. I certainly agree with the sentiment that a hybrid type of model may be required – as this will enable greater consistency as well as quicker decision making and turnaround times. While this trend looks somewhat into the future, this year I believe has seen this trend become an even stronger reality. It is a challenge for BI to align with corporate strategy and objectives today, and if we are honest, many organisations still do not see the value that BI is supposed to offer. Less than one-third of organisations have a documented analytics, BI, or performance management strategy. This will remain a challenge now and well into the future but as analytics continues to evolve, measures will need to be defined and put into place by organisations in order for them to outline their performance measurements effectively and accurately. 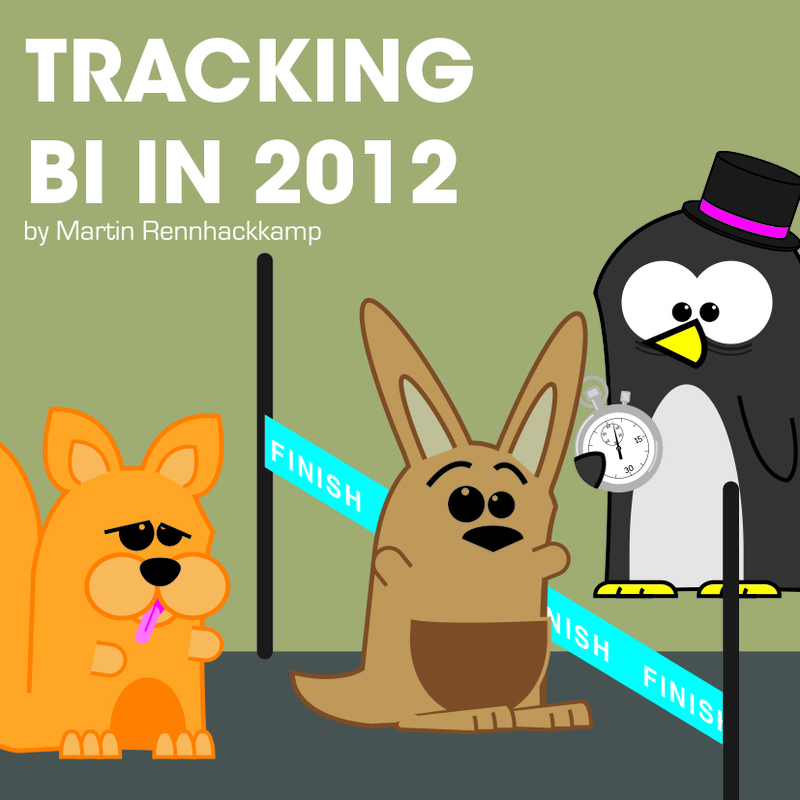 2012 has without a doubt been a more interesting year in the BI field. As technological innovation continues, the years to come will see BI become more consumerised, volumes of data will continue to grow, business requirements will change and the reality will be that business data is continuously required to allow businesses to operate effectively in a dynamic economy and business landscape. Therefore, BI will always have its place in the industry – it will just evolve with the times and the requirements of businesses, as the years go by. It will be interesting to see what some of the predictions for 2013 will be. As we head closer towards year end, we will start seeing more opinions develop. Some of these will provide some great insight and value.